While doing our preliminary architectural survey prior to starting the design of this new Alzheimer wing, we realized there were two distinct sets of needs. The first need was for the staff, to design a wing that would be functionally efficient for their duties. 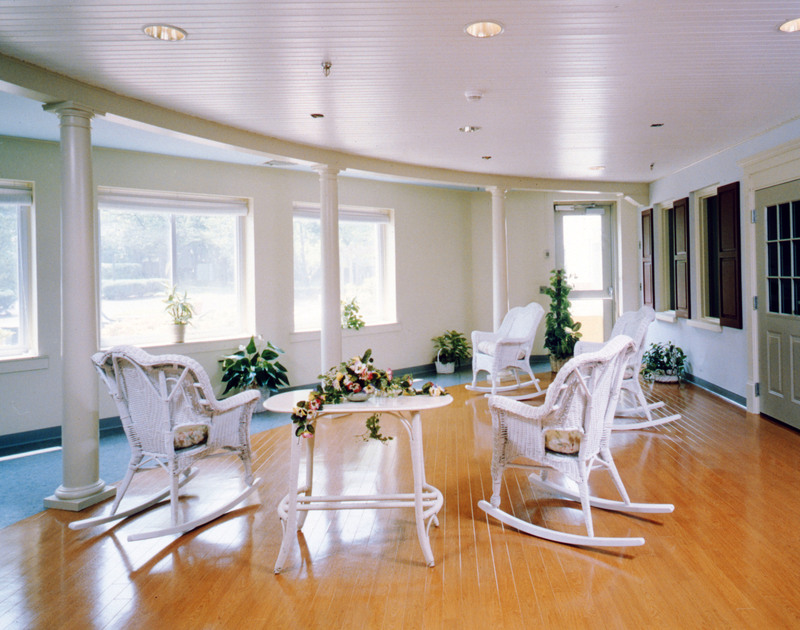 The second need was for the residents, to design a wing that would provide them with an atmosphere of comfort, reassurance, and aesthetic enjoyment. Areas also required space without impediments for those residents using wheelchairs and walkers. By conducting interviews with staff and residents we were able to design a very patient-friendly yet medically efficient environment. 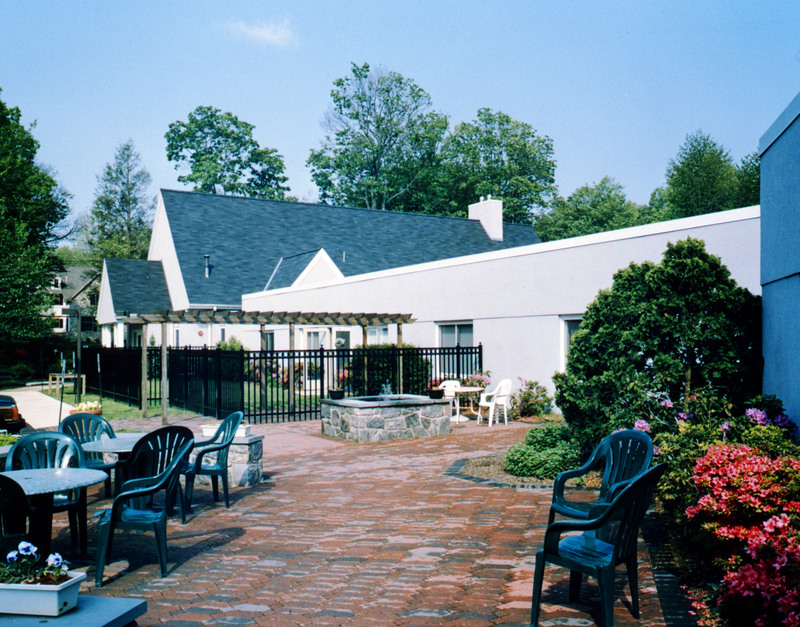 The enclosed garden provides a space where Alzheimer patients can enjoy the outdoors without fear of them wandering off and getting lost. The high iron fencing is an architectural feature that adds beauty along with functionality as part of the expanded outdoor gardens and seating areas. Wicker furnishings add a cheerful ambiance to the garden activity room and have a practical function as well, as they are lightweight and easy to move around to use the room for a variety of activities. Artificial plants and floral themed art reinforce the garden theme year ‘round. 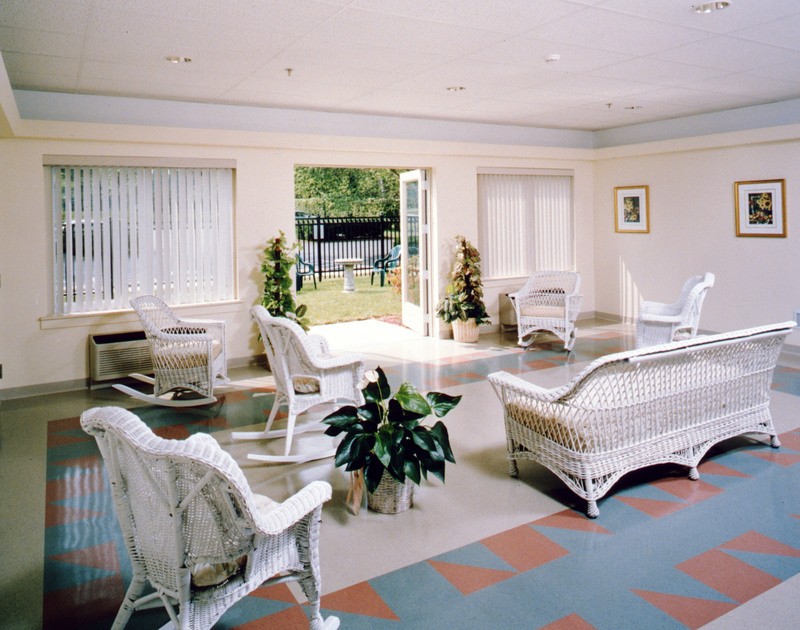 The vinyl tile floor uses soft soothing shades of blue and peach as a border with shapes inspired by local quilt patterns. Lighting is recessed in the ceiling to cast an even glow in the room, that doesn’t compete with the natural light from the windows. 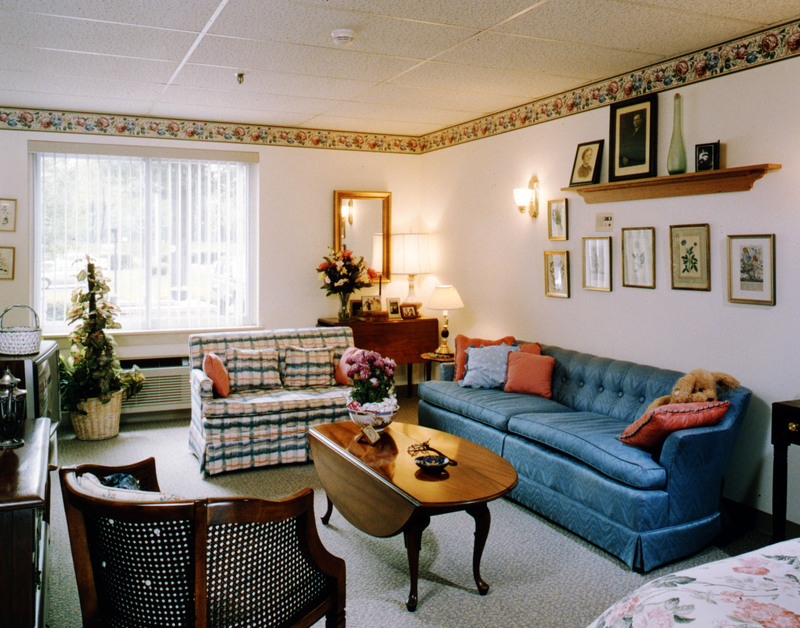 A typical living area in a resident’s suite is a homey, comfortable place to be. Backgrounds and carpet are kept neutral because residents often bring their own furnishings to surround themselves with familiar things. A shelf provides additional space for photos, artifacts, and memorabilia. The large window continues to connect them with the outside world even when in their own, private space.